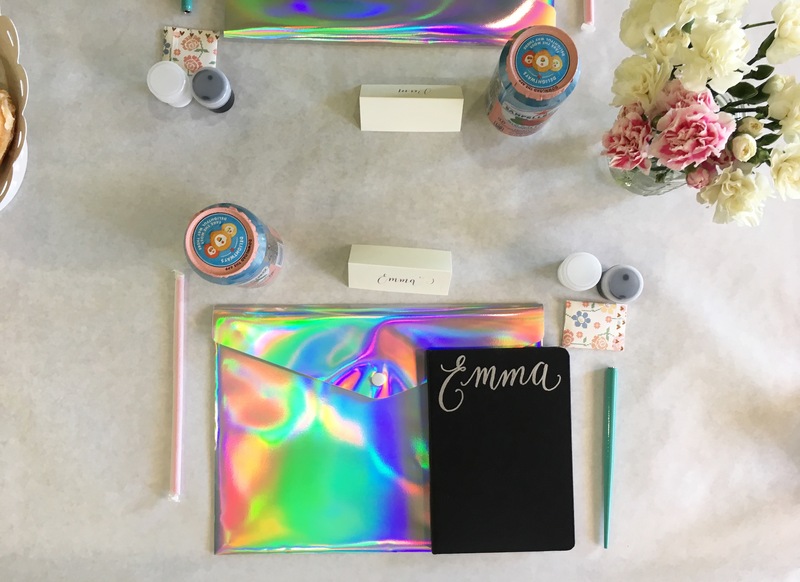 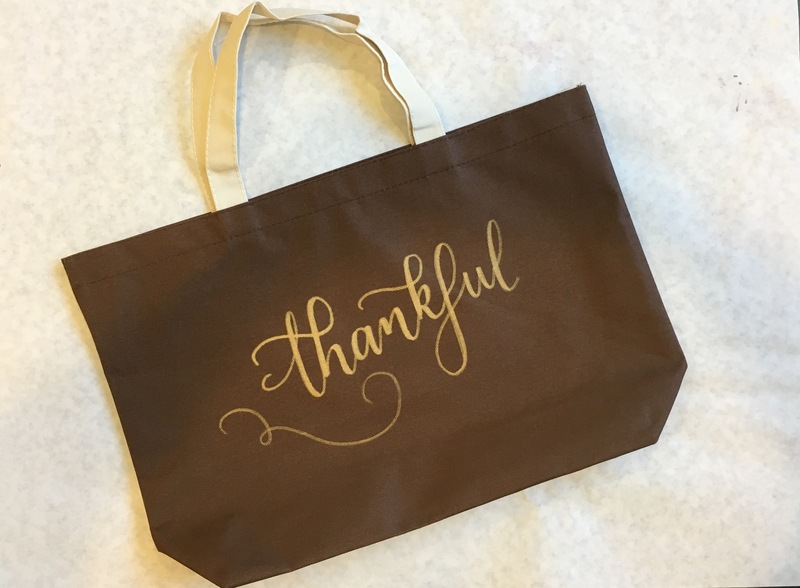 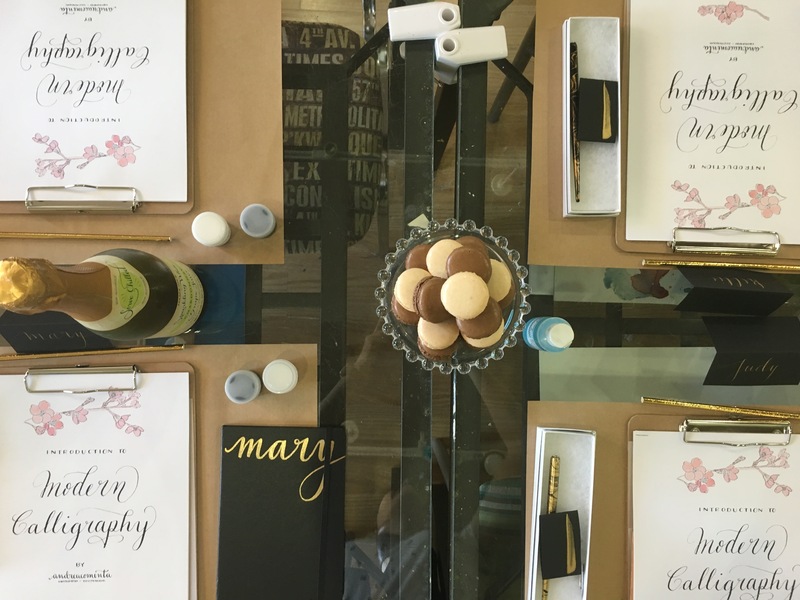 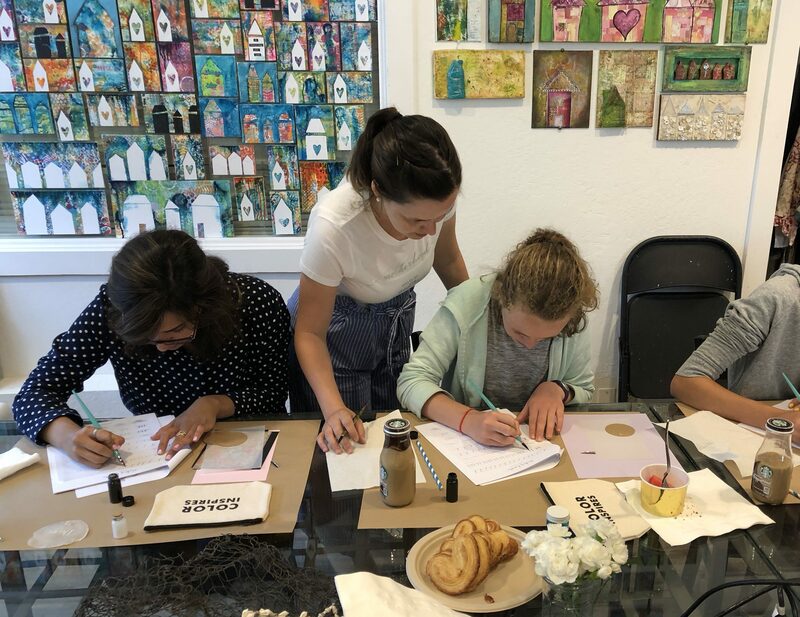 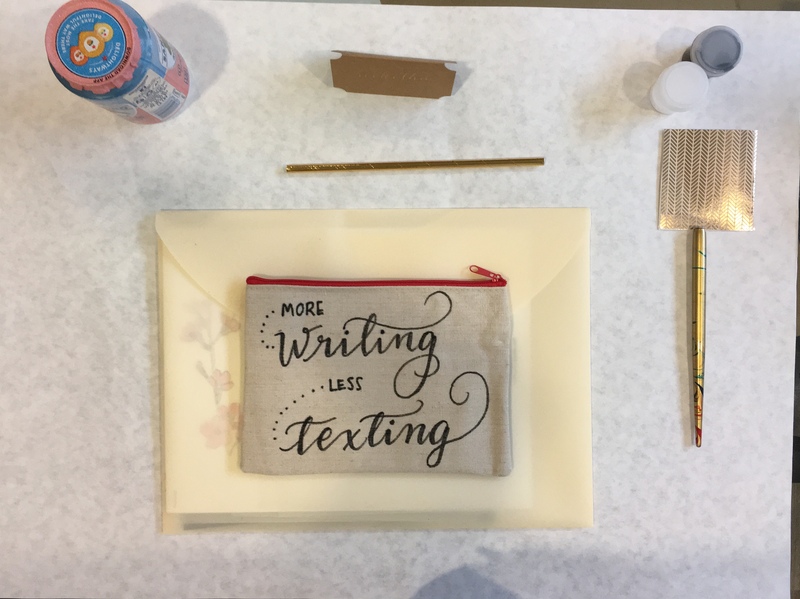 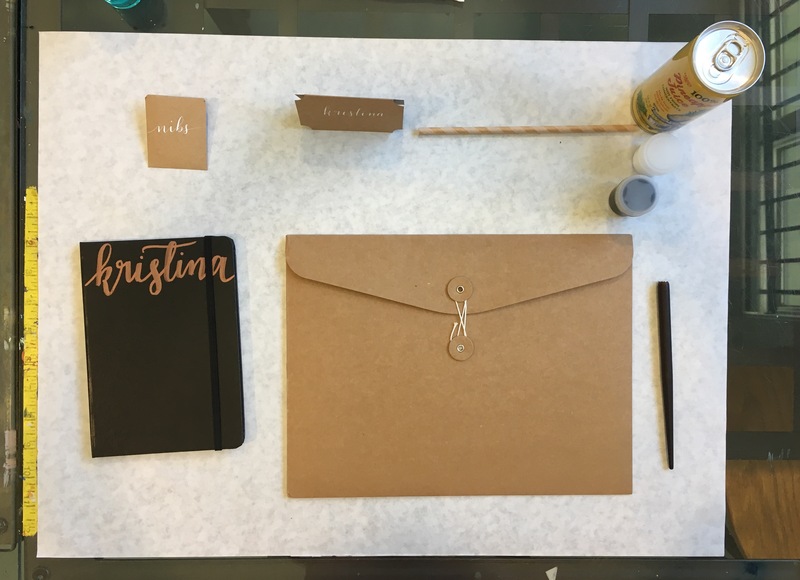 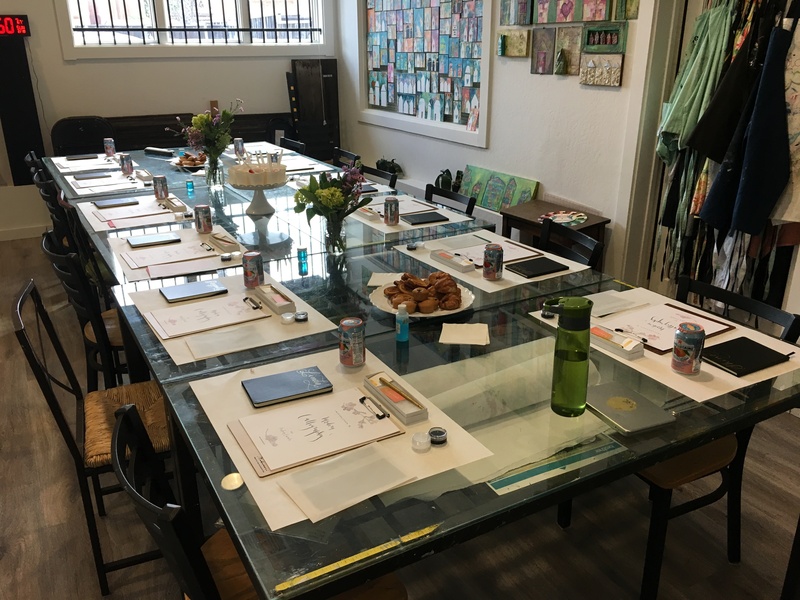 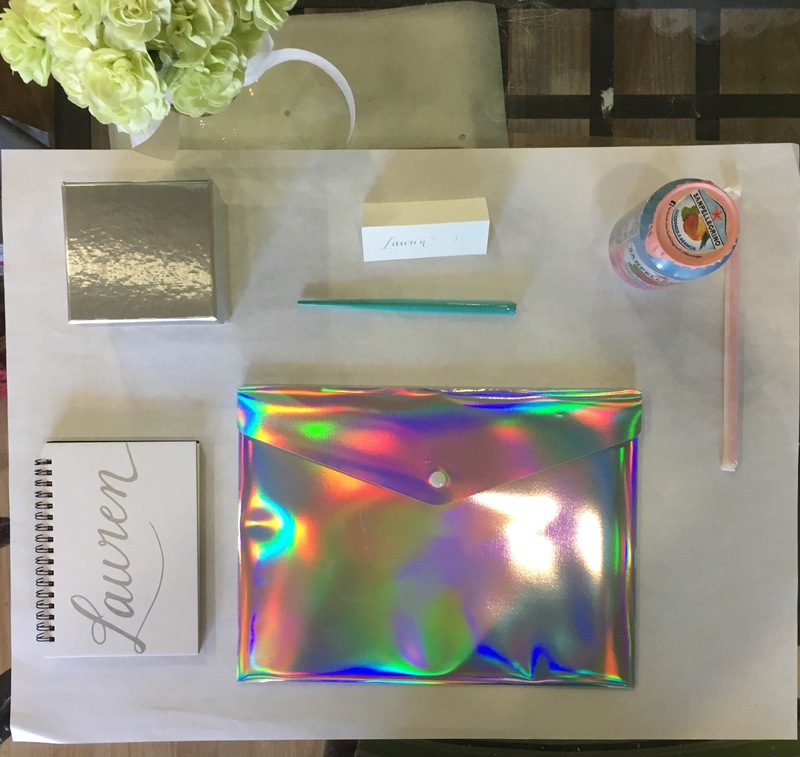 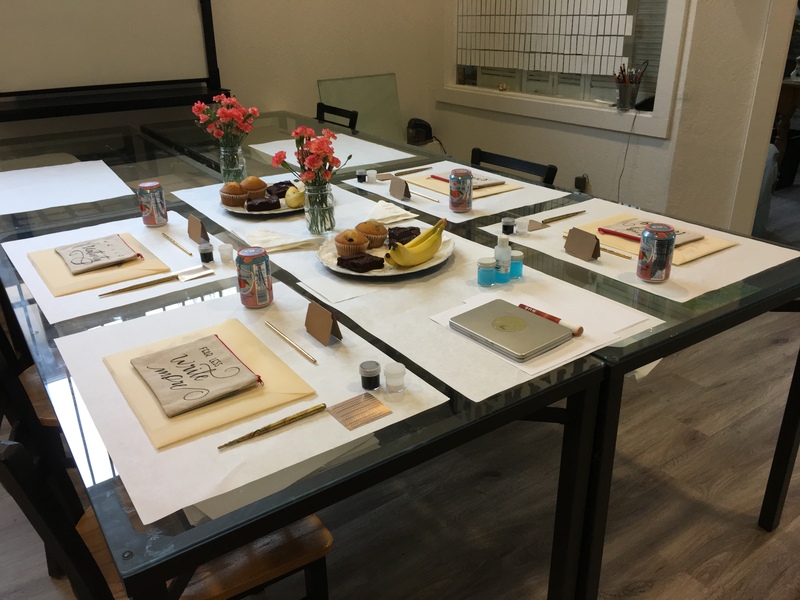 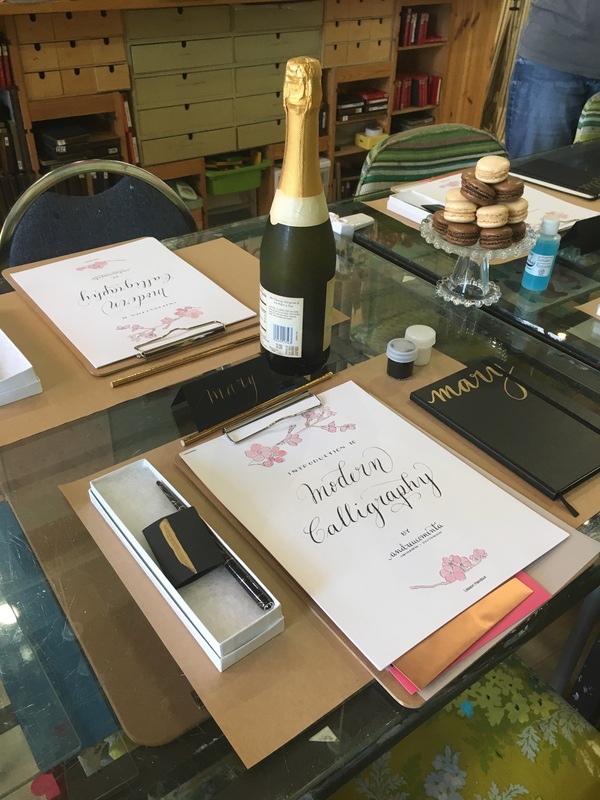 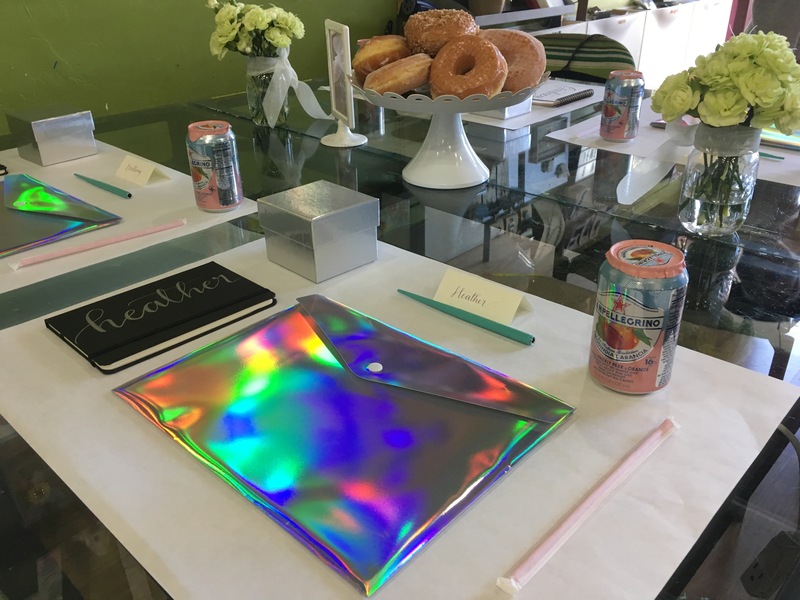 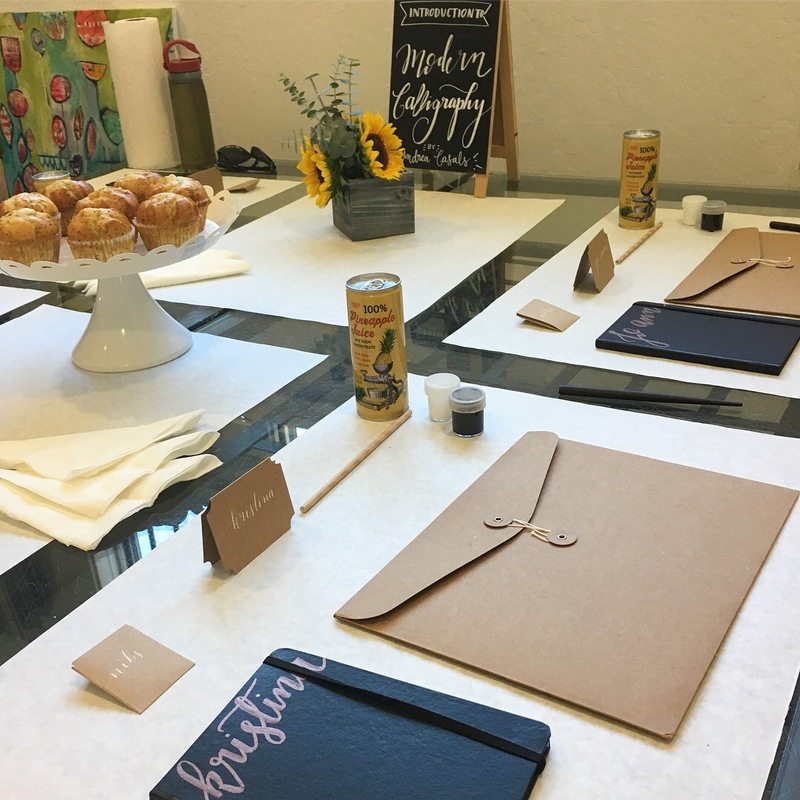 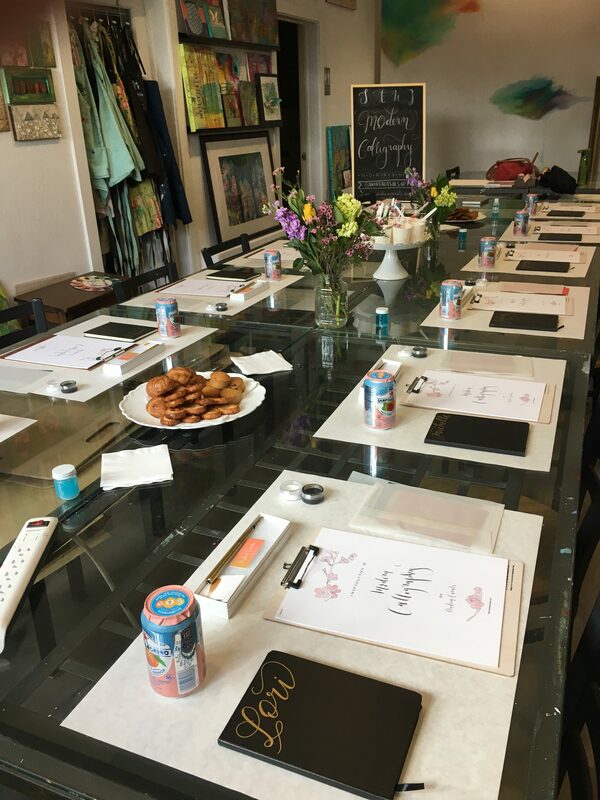 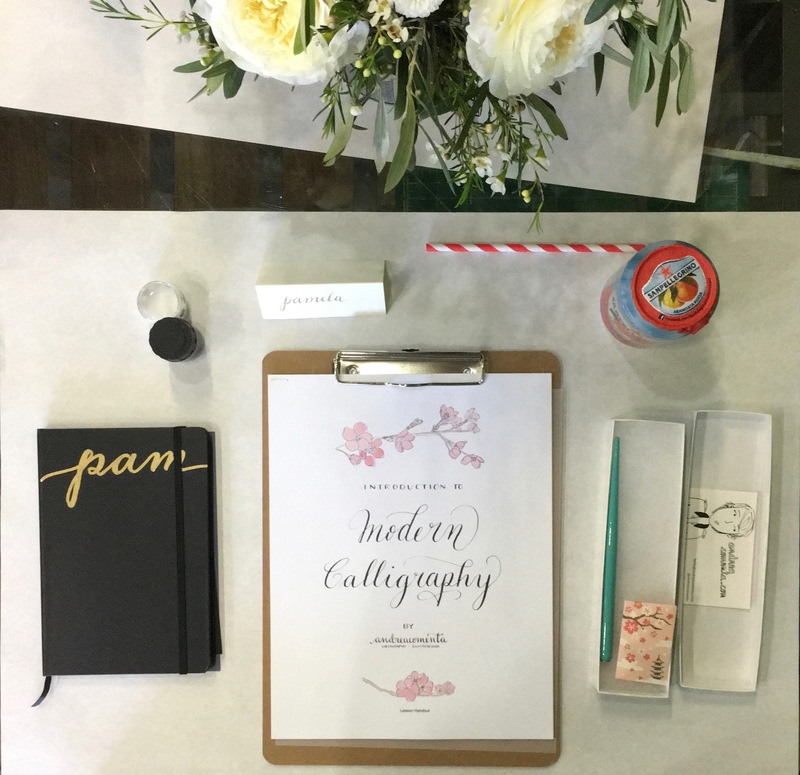 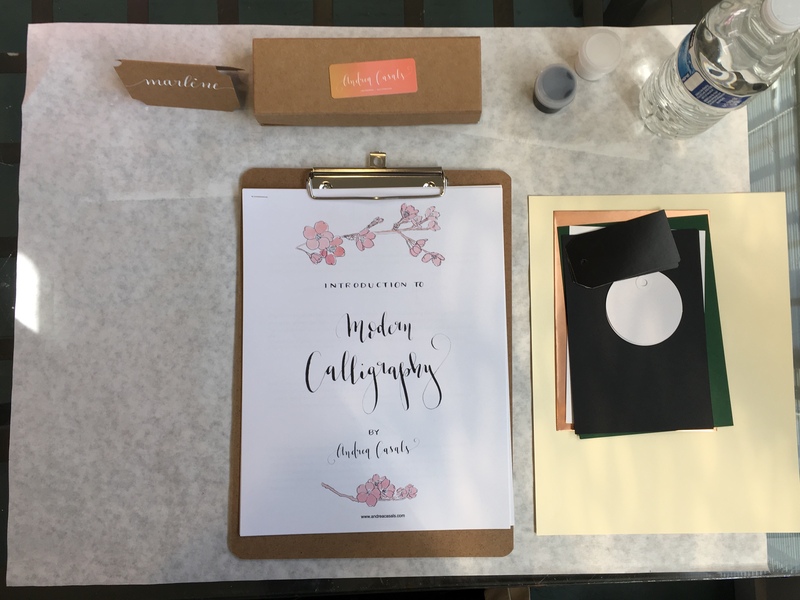 Introduction to Modern Calligraphy is a 2-hour workshop of guided instruction and hands-on practice that has been taking place since March 2017. 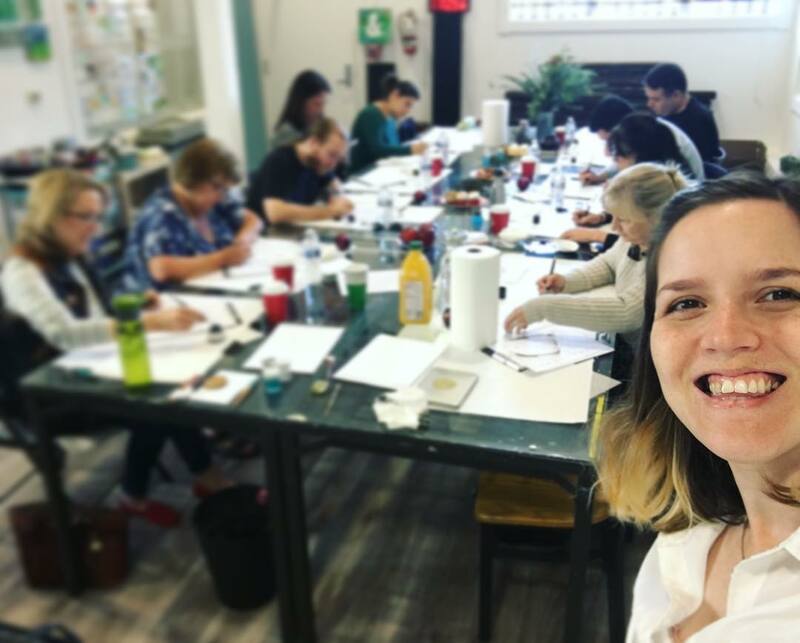 Until now, more than 180 students have learned Modern Calligraphy with Andrea Casals only in California. 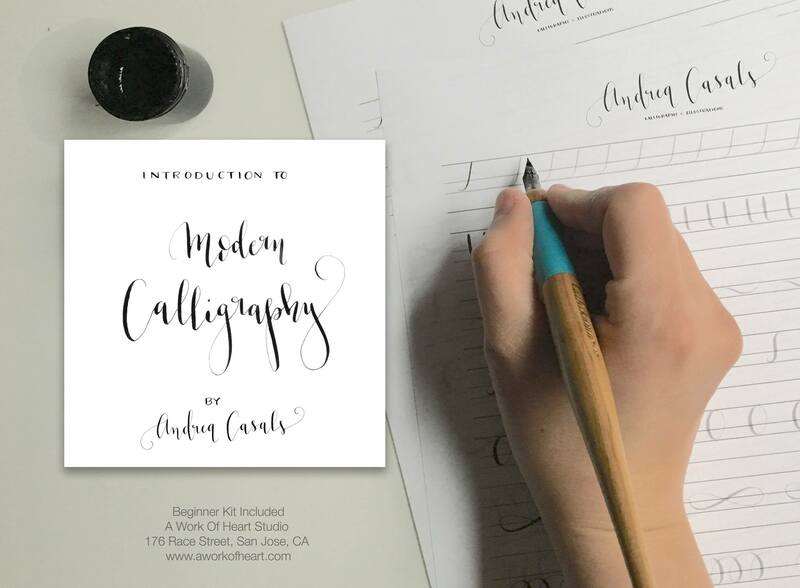 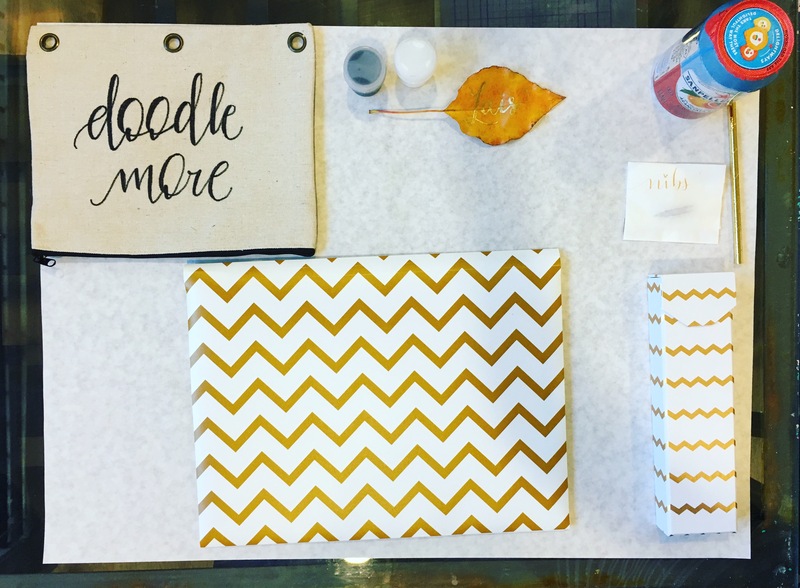 The registration fee includes a Lesson Handout and a Beginner kit curated and assembled by Andrea Casals.